lifetime of pages: HeArt & Soul May Palette # 168 Reveal! HeArt & Soul May Palette # 168 Reveal! It's time for the next HeArt & Soul Palette reveal! Click on the title above to see what our international design team create using Palette #168. Lots and lots of layers! I started with blue and white elements left over from the March Swirlydoos Kit and combined them with My Mind's Eye goodies and some older Blue Fern Chippies. I twisted my thread and use to connect my sweetheart banner. I finally found a place for those sweet little hangers! 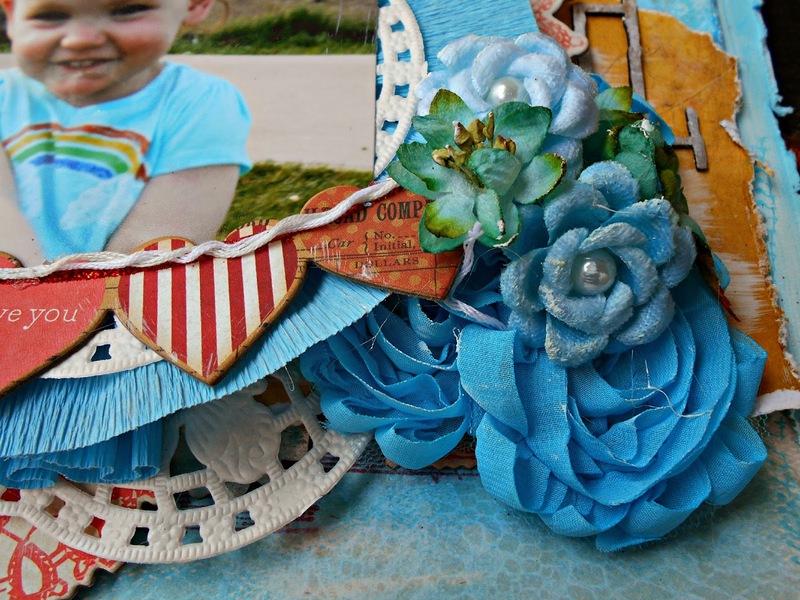 The blue flowers are a mix of crepe paper,Jo-Anns blossoms,Prima and Petaloo. The background gets its blue highlighting from my gelatos-my new fave toy! Thanks for looking at my project! I hope you create your own using Palette #168 and link it to the main site. 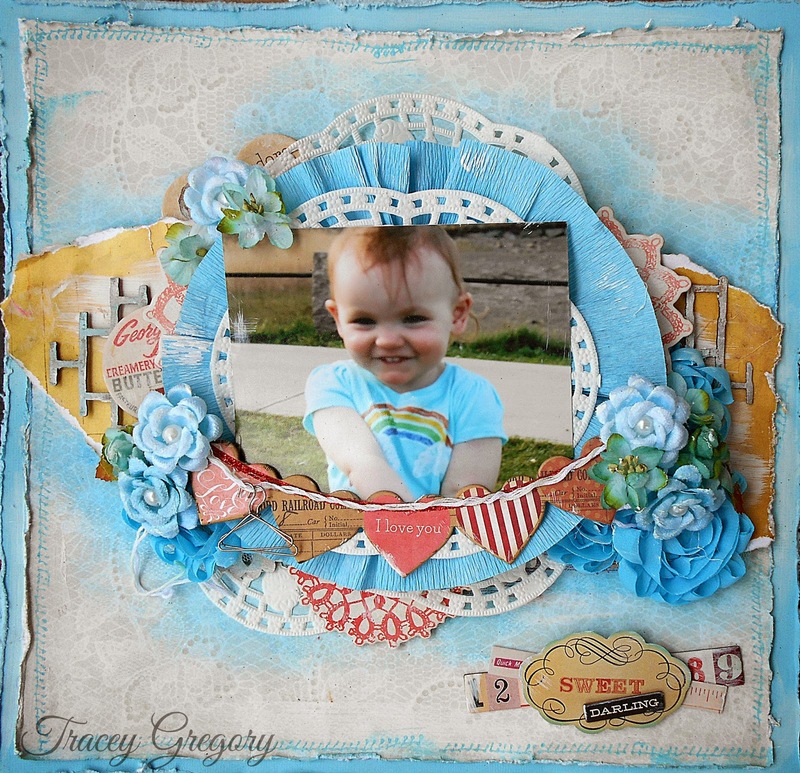 Gorgeous layers Tracy! Love your take on the board :) What a cutie pie! So adorable! Always love seeing her sweet face! 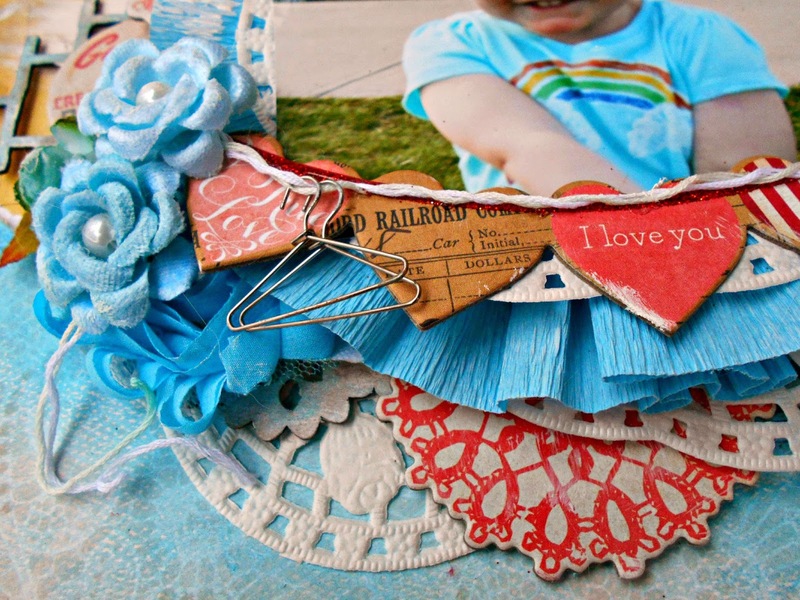 Love all the elements on your page, especially those little hangers! 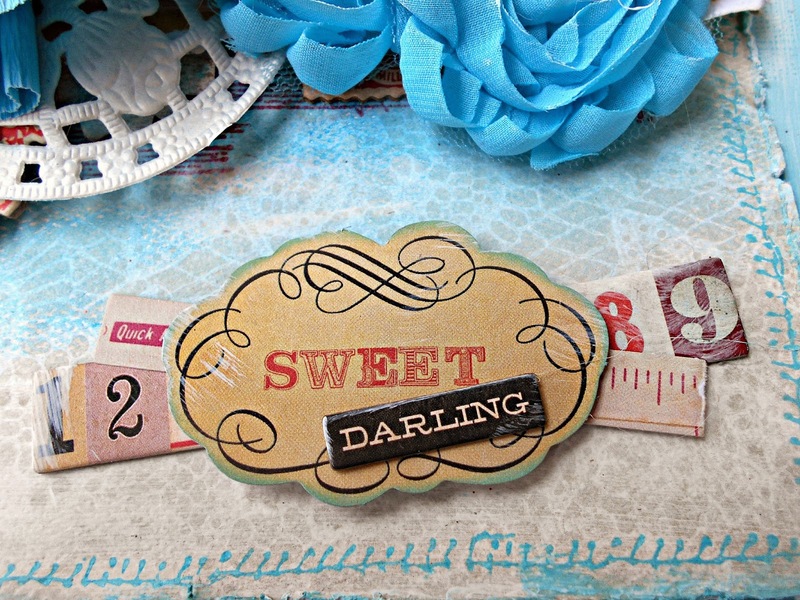 Fantastic layout and love how you have layered your design. Thanks for sharing and inspiring.